A few years ago, I was dealing with chronic shoulder pain that I couldn’t seem to shake. I checked the usual boxes in an attempt to fix it: active release, different types of massage, stim, and everything else I could think of. Nothing was really helping other than to provide a short-term fix. A few days later, I was back at square one. Couple months later, I was at a seminar with Bill Hartman and Mike Robertson. I told them about my shoulder issue and explained how I’d tried every therapy known to man, yet I was still in pain. I got up, started moving my shoulder around, and… no pain. Obviously, I was thrilled this worked, but I figured it would end up being just like everything else I’d tried: provide some momentary relief only to give way to pain a few days later. But as the days and weeks unfolded, the pain never came back. Bill was able to take an injury that had plagued me for months, often hurting so badly I couldn’t even sleep, and correct it within a few minutes. That was my first introduction to the importance of breathing, and I knew Bill and Mike were covering an aspect of health and fitness that very few others were even aware of. Over the past few years, I’ve learned how breathing plays a critical role in performance, recovery, and even general health. Learning to breathe properly is something literally everyone can benefit from—and if you’re coach or trainer, it’s something that can be a life-changer for those you work with, too. That’s why today, I’ve invited Bill and Mike to talk more about this idea of how to breathe properly for better performance and recovery. Bill and Mike own Indianapolis Fitness and Sports Training (IFAST), which has been named one of the top 10 gyms in America by Men’s Health magazine three times in the past six years. Bill’s going to kick things off, and then we’ll hear from Mike later, but first, here’s a quick video of how breathing strategies can improve recovery. Hey everyone, this is Bill. As the owner of IFAST Physical Therapy and co-owner of Indianapolis Fitness and Sports Training, I find solutions for people in pain that have failed from other forms of treatment. From pros to average joes (and janes), I’ve worked with them all to regain a fit, pain-free body and optimize performance and health. My goal today is to give you a brief overview of how breathing influences movement and recovery, and provide a model of performance that expands from local to systemic recovery. Provide an adequate stimulus to the muscles we want to get bigger, stronger, more conditioned and more powerful to enhance performance or body composition (or both). Get adequate rest between workouts or competitions and supply the body with the nutrients it needs to repair the muscles involved so that they can be ready to do their job again when needed. Get that at least mostly right, and things will turn out favorably for you or your clients and athletes. Simple, right? That’d be nice. Problem is, humans are not machines. It’s not as simple as looking at the body as a collection of individual parts. Looking at performance and recovery as purely local to the muscular system is naively incomplete. Fact is, your body is connected by a number of subsystems, each playing a vital role in your performance, recovery, and overall health. Aiming to optimize movement and recovery of the muscular system is only one piece of the puzzle. Each of these subsystems must work together to facilitate optimal performance, movement, recovery and overall health. Each of these subsystems influences the others in our ability to manage and enhance both the outputs of performance and the recovery from it. The first step toward optimizing movement and recovery is to move away from the outdated model where everything starts and stops with the muscular system, and begin adopting an integrated model that takes all of the different subsystems of the body into account. In other words, we must STOP looking at the body as a bunch of individual parts and START looking at it as a collection of cohesive systems which are interconnected and working together. Once you’ve made that shift, the next step is to understand that all of the different subsystems of the body are important, but one of them is what I’d consider the foundation everything else rests on. When it comes to optimizing movement and recovery, the two most crucial pieces of the health and performance “puzzle”, nothing is more important than proper breathing mechanics. Respiration is the most underutilized and overlooked aspect of movement and recovery because it is the foundation that allows all of the other subsystems to thrive. If you’re breathing poorly, everything else is going to be out of whack, at least to some extent. Proper breathing is that important. Get your breathing right, and you have the raw materials to build upon so that every other “system” in your body can work together to facilitate optimal movement and recovery. From a movement or performance standpoint, this should be obvious. If you aren’t breathing effectively and efficiently, how can you expect to perform well in an activity where the most basic requirement is the effective utilization of oxygen? The mechanical effects of airflow, and how it can detract from or enhance movement cannot be overstated. With poor respiration patterns, posture and movement quality are compromised, leading to less efficient movement during exercise or competition which is clearly going to decrease the level at which you’re able to perform. Breathing influences movement patterns, posture, pain, as well as performance by altering the position of the musculoskeletal system, causing restriction of airflow leading to underinflation or hyperinflation of your lungs, thus creating a mechanical barrier that limits movement. In other words, in a very real way, being able to move optimally during performance and exercise comes back to the ability to breathe effectively. Recovery is affected in a similarly detrimental way. To really understand optimal recovery, we have to look past the muscles to the nervous system. Recovery of the nervous system is a powerful influencer in regard to regaining the capacity to provide output to the movement system. But it also must be considered based on its impact on the behavior of any number of subsystems that can allow these local adaptations to occur as well as our ability to maintain health. If your nervous system is chronically fatigued, it won’t matter how “effective” of a training or conditioning program you put into place, results will be suboptimal due to the “trickle down” effect that will occur. For instance, a strongly activated, rigid, less adapted nervous system has broad spectrum consequences that may promote similar reductions in the ability of other systems. If the autonomic system is overtaxed and remains sympathetic dominant, an excess of stress hormone circulation may delay the ability of energy restorative mechanisms to be effective. This could lead to digestion being interrupted, which will limit the necessary energy and nutrient absorption. Being “sympathetic dominant” reduces the immune system’s ability to manage inflammation promoting the inability of soft tissue to hypertrophy or adaptively reconstruct. This, in turn, may lead to degeneration of tissues such as tendons which may eventually lead to injury. Your body is less efficient at facilitating movement (i.e. your performance during the workout session or competition is below what you’d be capable of in an “optimal” physiological environment). Your body is less capable of facilitating the recovery processes after your workout session or competition ends (which means you will be walking around in a low-level state of fatigue and your performance will be compromised the next time you show up for a workout or competition—and continued for long enough, this will negatively affect overall health). Obviously, addressing each of these environmental and behavioral aspects of stress is important, but if I had to establish a “hierarchy”, developing better breathing patterns would consistently be at the top. In terms of recovery, proper breathing can shift the nervous system from its stressed, sympathetically dominant state toward a more restorative, recovery based parasympathetic state. 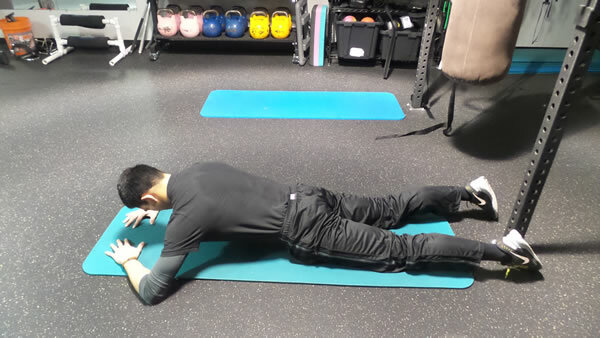 The bottom line is this: In order to move optimally during exercise or competition AND facilitate recovery, your nervous systems has to be in check. You can “train” respiration just like you can a muscle or any other component of health and fitness. Over time, the consequences of an overtaxed nervous system can be altered in a favorable manner by developing better breathing mechanics. With practice, as part of an effective movement and recovery program, a client or athlete may actually be able to enhance recovery between repeated bouts of activity to maintain performance as well as improve their ability to recover better from a health and long-term perspective. I’m the co-owner of IFAST with Bill, who just finished talking about how important breathing is for performance and recovery. I got started in the health and fitness industry nearly 18 years ago. Since then, I’ve had the opportunity to work with professional athletes from every major sport, helping them take their performance and health to the next level. But, enough with the formalities, let’s get back to the real reason you’re here: how to use breathing to improve movement and ramp up recovery. Bill did a great job of covering why proper breathing mechanics are so important for optimal movement and recovery. 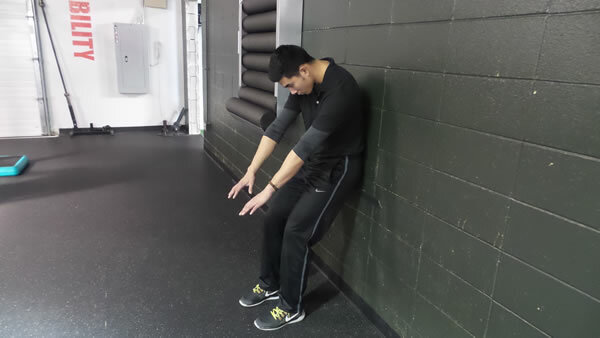 The next step is to begin implementing some specific exercises into your programming to teach proper breathing mechanics. This may sound strange, but most people—including the clients and athletes you work with—breathe ineffectively (or at the very least, less than optimally). The good news is, as Bill outlined above, respiration can be trained just like any other component in your health, fitness, and performance programs. I’m going to give you some tools to get started with right now. As I mentioned in the video, the great thing about these recovery breathing exercises is that they can be used just about any time. They are incredibly easy to incorporate into a dynamic warm-up or cooldown and they can even be done outside of the gym at home. After just a couple of minutes of doing this type of breathing, you’ll often feel noticeably looser and more relaxed because they help turn on the parasympathetic nervous system as Bill mentioned. Try incorporating a couple of these exercises into your daily routine and you’ll quickly feel the difference. Learning to teach your clients and athletes how to breathe better is one of those things very few coaches out there are paying attention to. At some point, that’s going to limit their effectiveness—and the results of those they’re working with. The great part is that with the right guidance, this is a skill you can develop to become a better, more complete coach. Learning how to coach these types of movements and improve breathing patterns over the last couple of years has made a big difference in the results I’ve seen personally and with the people that count on me to get them in shape. That’s why I’ve brought Bill and Mike on board to contribute a brand new series of videos on movement, respiration and recovery to the BioForce Conditioning Certification. In this all-new section of the course, they’ll cover all the information and practical know-how you need to optimize movement and recovery with the clients and athletes you work with. As you learned today, breathing effectively not only impacts performance, it’s also crucial for recovery and a key element of conditioning. This is a skill set that I truly believe every coach must have because if they don’t, the results they’re able to produce will ultimately be limited. To learn more about this complete self-study system—and to save over $200—join the special Insider’s List below. Spots are first come, first served.